Imagine a luxuriously-designed ranch estate complete with all the comforts of a residence. Luxury guest rooms are carefully designed to integrate the beauty of our natural surroundings. Seagrass wall coverings, ash wood flooring, herringbone mosaic-tiled bathrooms with double vanities and heated floors, and custom-made furnishings and light fixtures promote the natural elements of the property. 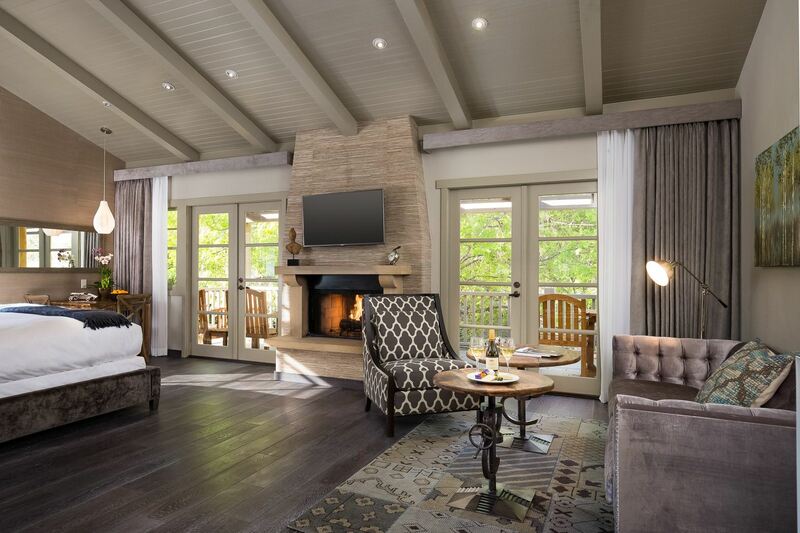 These single-story rooms are located adjacent to our playful croquet and bocce lawn, with an oversized patio. 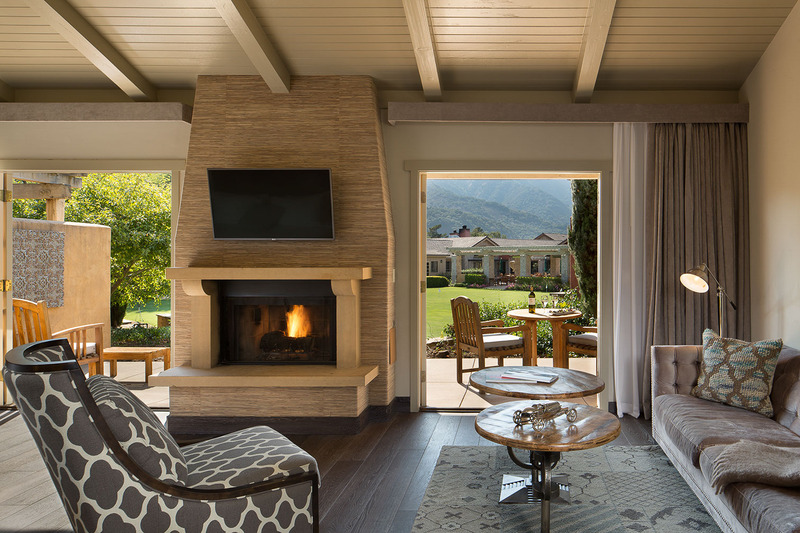 These ground floor and second-story rooms offer an oversized balcony or patio with views of the pool and the Santa Lucia mountain range. 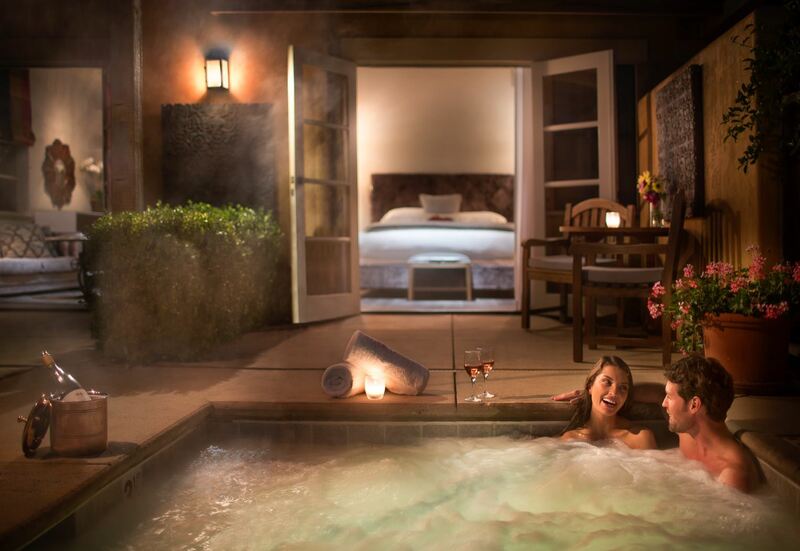 Our romantic spa rooms feature a private garden patio with outdoor hot tub and views of our expansive rose garden, estate vineyard and the Santa Lucia mountains. * A $60 nightly extra person fee plus tax applies for the 3rd adult guest in a room with one king bed and a rollaway and each of the 3rd and 4th adult guests in a room with two queen beds. King-bedded rooms can accommodate one rollaway bed at a $75 nightly charge plus tax.